In the second of our ‘core’ Super Mario Bros. series of podcasts, Leon, Darren Gargette and Sean Bell of Midnight Resistance launch into the 16-bit era. 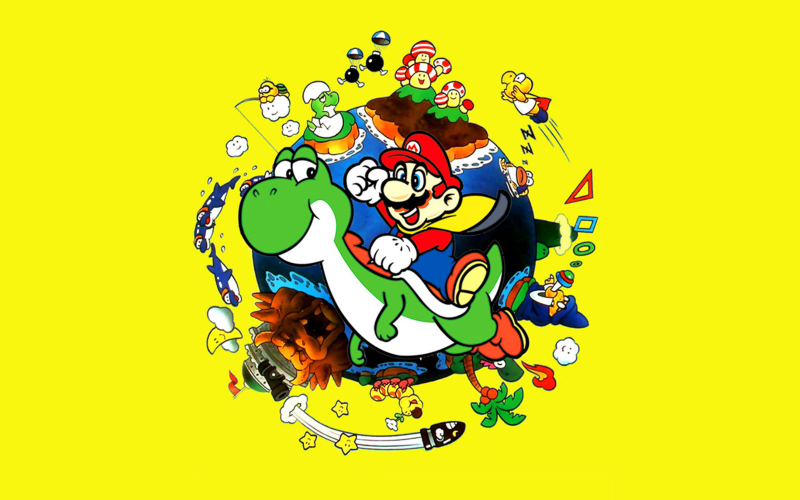 Super Famicom/Super Nintendo launch behemoth Super Mario World and cutesy swansong Super Mario World 2: Yoshi’s Island capably book-ended the life Nintendo’s beloved early 90s machine. We remember a time of Switch Palaces and Star Roads, of Mode 7 and Super FX2 chips. Oh, and endlessly wailing infants. Here Darren Gargette is playing the SNES/Super Famicom version of Super Mario World via PC emulation. For dessert Dr Gargles tucks in to some sweet, sweet SNES/Super Famicom Yoshi’s Island, also emulated here on PC.